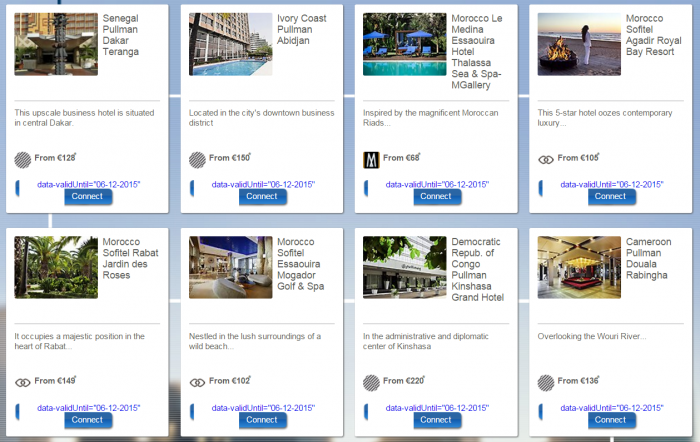 Le Club AccorHotels has launched a promotion for 500 bonus points per stay in Africa & Indian Ocean. The offer is valid for stays between November 14 – January 3, 2016, that are booked November 13 and December 13. You can access and register for this offer here (registration required). Note that the terms state that this offer is valid for stays at Luxury and Upscale hotels. I would assume that Ibis hotels are excluded and probably Mercures too. If you have stays coming up in the area that you have yet to book (or maybe use online check in that may reset the booking date), you should register for this offer and collect the bonus miles. 1. General Le Club Accorhotels terms and conditions apply to the “African & Indian Ocean luxury & upscale hotels + 500 points” offer. 2. This offer is valid for any “African and Indian Ocean luxury & upscale hotel” stay done between “14/11/2015” and “03/01/2016” in one of the participating hotels, and booked between “13/11/2015” and “13/12/2015”. 3. This offer entitles Le Club Accorhotels Loyalty members, regardless of their status, to benefit from earning “500” points in one of the participating hotels in “Africa” and “Indian Ocean”. 9. This offer is subject to availability. General sales terms and conditions apply for reserved public rates specific to each hotel * Subject to availability and conditions. See hotel’s conditions of sale upon booking.